You can’t do everything. Caring for your patients and managing staff leaves little time for growth strategies. Getting through the daily grind of EHR and billing documentation can all but eliminate your ability to think about long term revenue cycle management strategies. That’s where we come in. Practice Compass brings a big business approach to your practice regardless of its size. While you maintain personalized patient care, we handle the back end of the business, streamlining workflow, improving efficiencies, and increasing the revenue that comes in the door. High growth practices are competitive practices, and that means profit. We will grow the business so you are free to grow patient satisfaction. Innovation and experience: Our job is to deliver sustained practice growth while you increase patient care and volume. Management and operational excellence: We streamline workflow, introduce economies of scale, and deliver evidence based ROI to your practice. Proven business strategies and exacting patient satisfaction methodologies: Practice Compass will build your practice into the successful investment you always planned it would be. Increased practice performance through real-time KPI indicators, P & L benchmarks, workflow optimization and compliance. Streamlined processes that improve and automate workflow, manage and fill scheduling, increase billings and improve patient engagement. Accountability that tracks staff productivity, patient interaction, quality and call conversions. 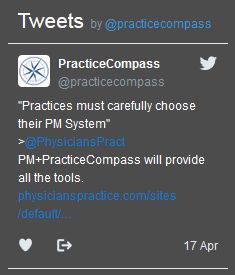 Practice Compass will build your practice into a competitive powerhouse while you deliver high quality patient care. That’s the way it should be. Call us today to discuss how we can help you grow.